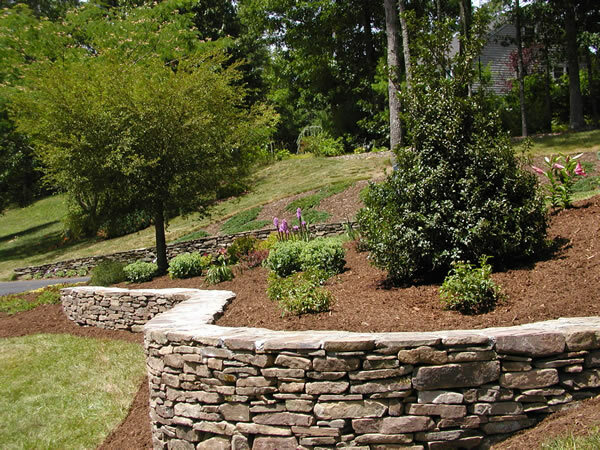 Pavers Driveways VA designs and constructs custom quality retaining walls and stone walls in Northern VA, Washington DC, Maryland, Reston, Herndon, Fairfax Station, Falls Church, Great Falls, Lorton, Arlington, Alexandria, Woodbridge, and Sterling. Stone retaining walls are most suitable for enclosing an area in a garden. 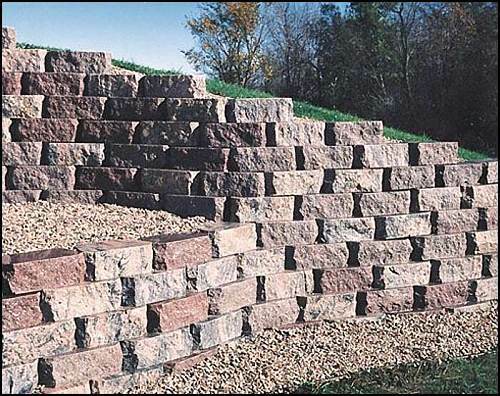 There are two kinds of block retaining walls. Modular retaining walls and segmental retaining walls. They have interlocking concrete units to hold back the load of the soil. CMU block is used in the center and then a veneer is laid on the outside in order to improve the aesthetic appearance. Retaining walls use the force of gravity to resist overturn and sliding. The nature of the wall prevents hydrostatic pressure as well. These walls can be covered in cut stone or rock. Stone walls and block walls can be stacked or set in mortar.